Same iconic design as Patagonia's classic MLC® bag, now in Black Hole® fabric. Superburly, soft-sided suitcase converts to a backpack or briefcase with enough room and organization for world travel. Meets most airline carry-on requirements. 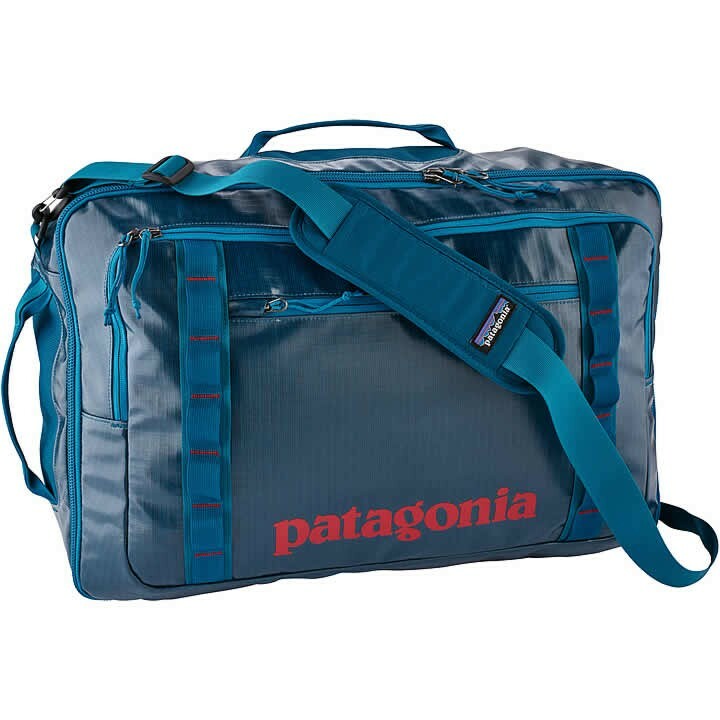 Made from Patagonia's trusted Black Hole fabric, the MLC® (Maximum Legal Carry-On) is undoubtedly the toughest, most travel-impervious travel bag you'll ever stuff into an overhead bin. Soft-sided and cleanly designed, this versatile bag holds 3 to 5 days' worth of clothes, opens like a book for easy packing and meets airline carry-on size requirements so you can get in and out as fast as possible. An internal, padded sleeve holds most 17" laptops and doubles as a clothing organizer. The main compartment features two separate pockets for easier packing, access and organization. A second zippered pocket keeps shoes separate from clothing. Two exterior pockets organize the essentials and include features to hold keys, electronics, travel documents, wallet and phone. Multiple carrying options include a padded shoulder strap that can be worn on one shoulder or across the chest, bandolier style; zip-away, ergonomic shoulder straps that convert the MLC to a backpack so you can easily make a sprint through crowds; and top and side handles for a briefcase carry. An integrated docking sleeve slides over telescoping wheeled luggage handles. Made from 13-oz 450-denier polyester ripstop (50% solution-dyed) with a TPU-film laminate and a DWR (durable water repellent) finish.